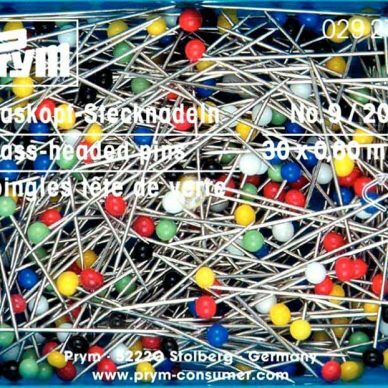 An array of glass headed pins in different widths and weights. 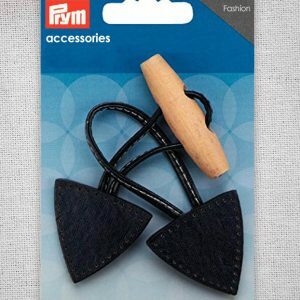 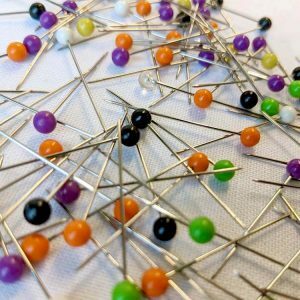 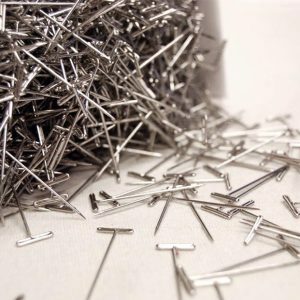 Colourful and useful, these pins are perfect for dressmaking. 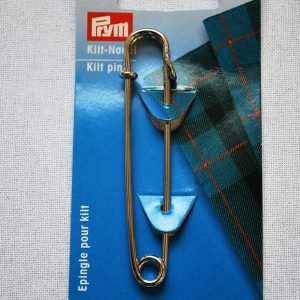 They will not melt if ironed, so you can use safely use them for pleats, hems, and quilting. 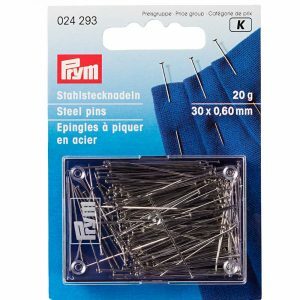 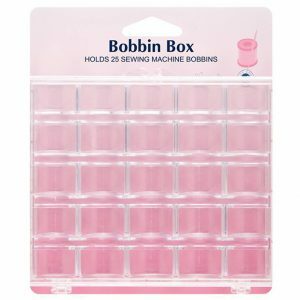 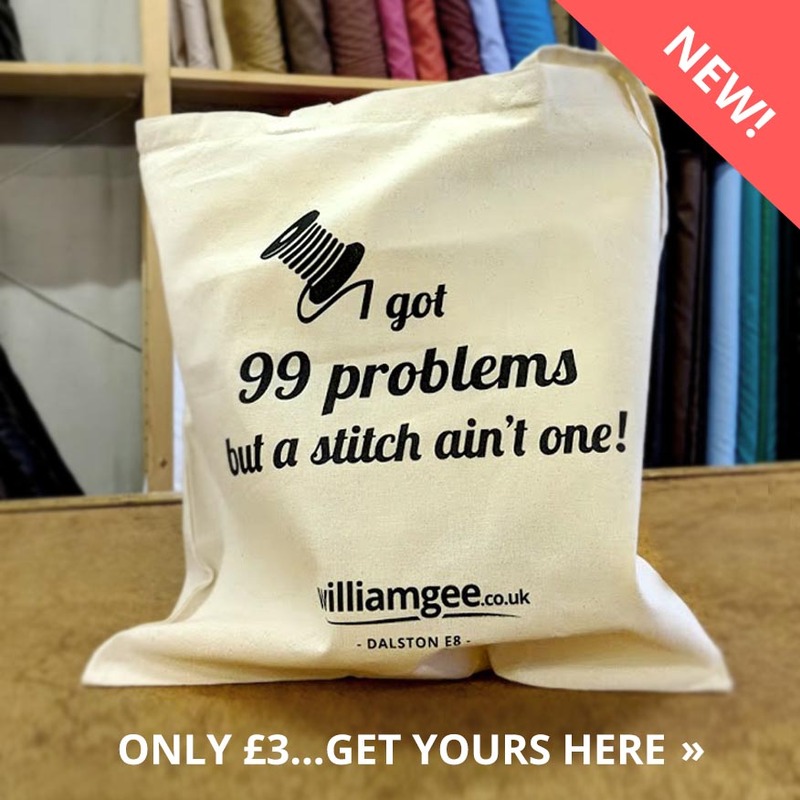 Easy to find in your fabric so fewer stabbed fingers! 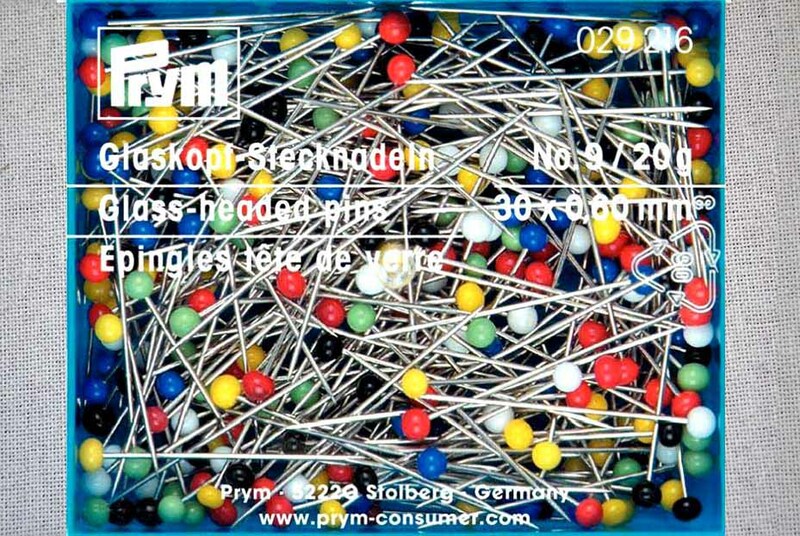 The glass-headed pins are the premium variants of the pins. 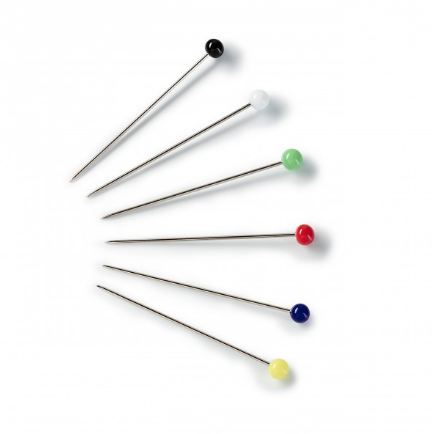 They stand out due to their heat-resistant, round head made of premium glass. 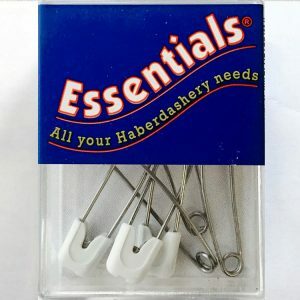 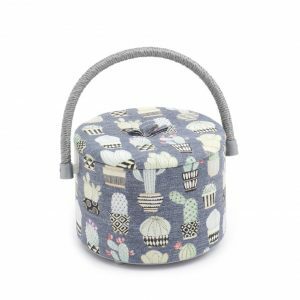 The glass heads are available in various colour versions, which you can effortlessly recognise in the fabric after sewing the pinned work pieces. 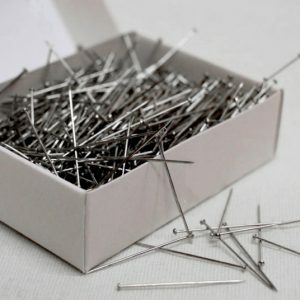 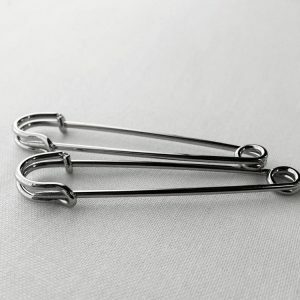 The pin’s smooth stem, made of hardened steel, has balanced spring stiffness, and as a result, it cannot bend or break. 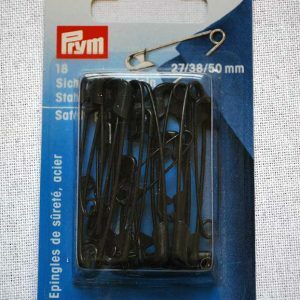 Its fine tip easily penetrates any fabric, thereby going easy on the fibres.